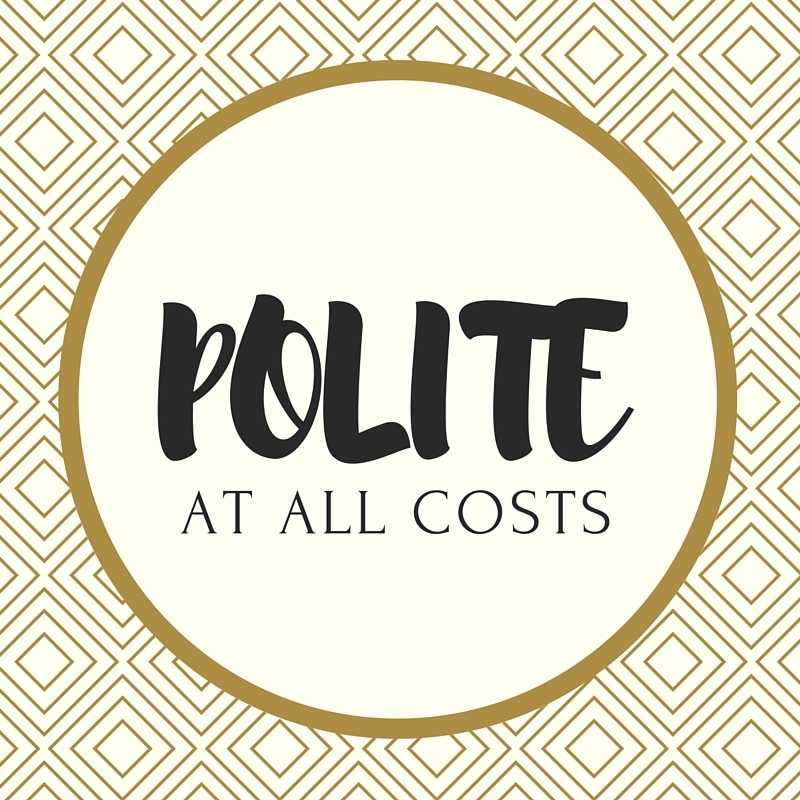 Southern women are taught to be polite at all costs. Southern mommas are expected to raise polite offspring. I pulled into the concrete strip mall and hustled my son into the store. I was still on schedule, until I got into the checkout line. I waited. And then waited some more. And even though I was wearing a dress like a good Southern girl does, the sweat from the muggy day started to cause my thighs to stick together. My mostly silent child up until this point started to whimper. I tried to ignore the noises. I tried to ignore my sticky thighs and the impatient sighs from the patrons behind me. The line would not move. My smugness turned into panic as I realized that I not only might no longer be early, nor on time, but late. As it finally became my turn to put my items onto the belt, my son started to cross his legs and cry. I stood there, both dumbfounded and livid, as I slowly reached up and clutched my pearls. I felt my fingernails cutting into the palm of my hand as my fingers wrapped around my necklace. Crimson shame spread across my cheeks as the long line behind us began to whisper. I shuffled my son out of the store and looked around frantically. There was nowhere for him to go to the bathroom. I directed him to the nearest corner. Instead, he walked straight over to the window of the store, pulled his smocked shorts down, and began to urinate on the window, in full view of the register and line we just walked away from. Everyone, including the cashier, stopped in their tracks as this child made the window his personal bathroom. I just stood there and did nothing, with my own jaw hanging open in surprise. He pulled his shorts up and started leading me to the car as if nothing happened and I followed, speechless. This post was originally published on July 27, 2015 on Mockmom.com. Today, in Utopia, Somewhere, an Internet troll successfully tracked down a writer to bully and threaten her after he disagreed with her take on potty-training her child. He tracked down the writer Suzy Q Mommy Blogger after reading her blog post about her struggle to potty train her child before preschool started. He started out by commenting on her blog posts and grew increasingly agitated when she began to delete his comments. Once she began to delete his comments, she also banned his from her website. That just sent him to track her work down on other sites. *Clearly, this is in jest, and a nod to all of those trolls out there who think they know better than you do, specifically, the people out there that continuously tell me I am a terrible parent and start their emails out with ‘I do not have children, but…..’ Please know that I take your opinion very seriously. Alright friends– by now you know I can be silly and ridiculous and I want you to join me! 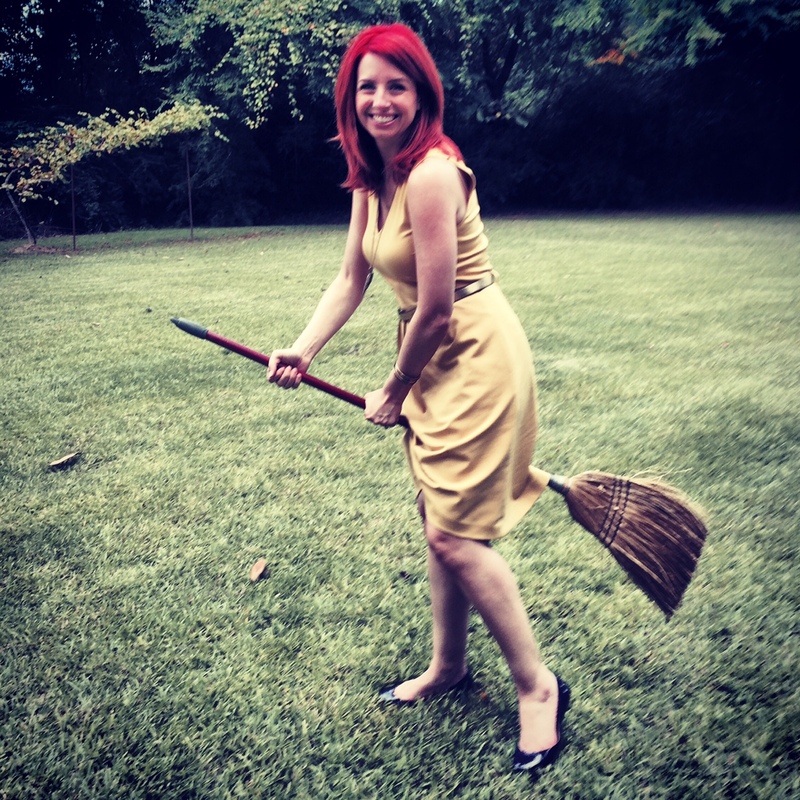 Leading up to Halloween, take photos of yourself and tag #bitchesonbrooms. Yes, I know this is early, but I know some of you are procrastinators and need all the time I can give you to take this photo. So, go grab that broom and show me what you’ve got! !